Last October, Beatshapers released a twin-stick zombie shooter, #killallzombies, with a bit of a twist. The game had Twitch streaming built into the game that also allowed spectators to affect the game through certain commands in chat, like healing a player or freezing them in place. 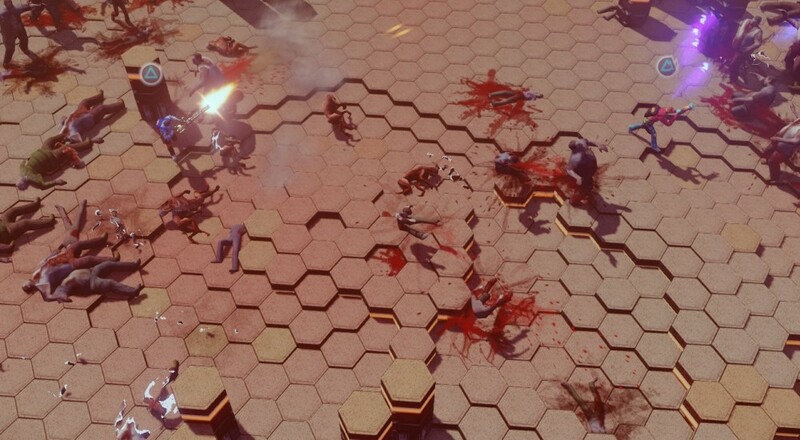 Initially, the game was a single-player only affair but its has received a recent update that allows a second player to join in the slaughter in a special "Co-Op Mode." The separate Co-Op Mode is similar to the core game, i.e., survive as long as you can, with a couple of added features, like special co-op perks and being able to revive your partner. The game also added a kind of tower defense mode, though this is not open to co-op yet. #killallzombies is available on PSN for $13.99. Page created in 0.8146 seconds.